Volker Willems studied physics and geophysics at the University of Munich and at the Technical University of Berlin. Professional experience in the fields of geo-exploration and manned space flight. Participated in the preparation and execution of German-American and German-Russian space missions (Spacelab, MIR) of the German Aerospace Center (DLR). Subsequently received training to become a patent attorney at a patent law office in Munich, the German Patent and Trade Mark Office, the Federal Patent Court, and the Regional Court of Munich. 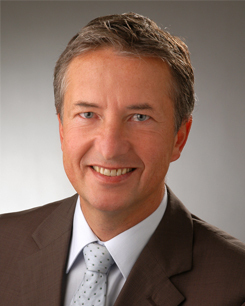 Volker Willems has been a licensed German patent attorney since 1997. In 1998, he received authorization as a representative before the European Patent Office (European patent attorney). Volker Willems is an in-house patent attorney for an international aviation and aerospace engineering company. Member of the German Association of Intellectual Property Experts (VPP), AIPPI, epi, and International Federation of Intellectual Property Attorneys (FICPI).